The 11-year-old boy who was also hit is in the hospital. Indiana State Police said the crash occurred 7:15 a.m. Tuesday morning after a school bus stopped in front of a mobile home park to pick up children for school, a statement from police said. The children killed were 6-year-old twin boys and a 9-year-old girl. 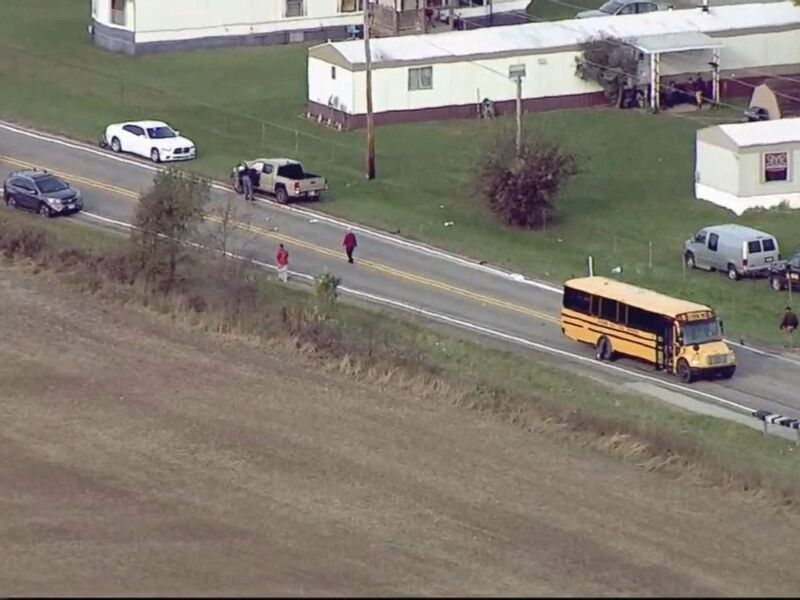 We have learned of three student fatalities and one student seriously injured and airlifted to a Fort Wayne hospital as they were hit by a truck while boarding their bus. "Our hearts just break for the families involved here in this tragic situation, and our prayers obviously go out to them", said Sgt. Alyssa Shepherd of Rochester, Indiana was arrested on October 30, 2018, hours after she allegedly struck four children as they crossed a street to their school bus in the town. The rural Rochester residents were students at nearby Mentone Elementary School. Tony Slocum, the public information officer for the Indiana State Police. A GoFundMe page has been set up to support the Ingle family. "My bother turned his whole life around for these two kids, and his step kids and now they are gone because somebody wasn't wanting to pay attention", said Elgin. "The father had to come out and identify his children, it was excruciating", he added. "There are no words", she said. She remained at the scene of the accident, but police said Shepherd was arrested at her workplace later Tuesday. Three children who were from the same family died at the scene - twin six-year-old boys and their nine-year-old sister. The school said it has deployed counselors to help staff, students and parents.